In the last quarter of the 19th century, following the discovery of Christian Science by Mary Baker Eddy, Christian Science churches began forming in many parts of the United States. In the 1880s, two Chicago students of Mary Baker Eddy came to Columbus to establish Christian Science in this area. The first church was chartered in 1896 and located downtown on East Broad Street. Interest in Christian Science grew and three more Christian Science churches were established in Columbus, all as branches of The Mother Church, The First Church of Christ, Scientist, headquartered in Boston. 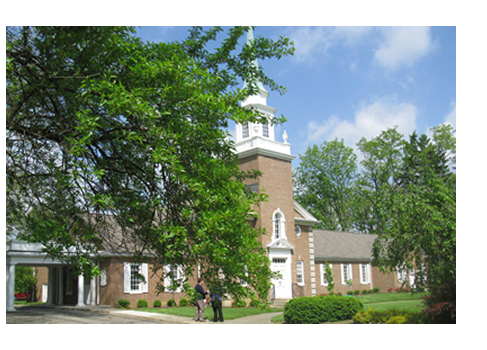 In 2015, the original downtown church and the branch church established in Clintonville in the 1940s (formerly known as Third Church of Christ, Scientist) joined to form what is now First Church of Christ, Scientist, Columbus. Today, in addition to First Church of Christ Scientist, Columbus, there are two other branch churches in Columbus: Second Church of Christ, Scientist, Columbus, located at 1118 King Avenue (phone number 614-488-2470), and First Church of Christ, Scientist, Upper Arlington, located at 3040 Asbury Road (phone number 614-486-4097). To learn more about The First Church of Christ, Scientist in Boston and its healing mission worldwide, visit www.christianscience.com.